Iran Ready to Work With Obama? 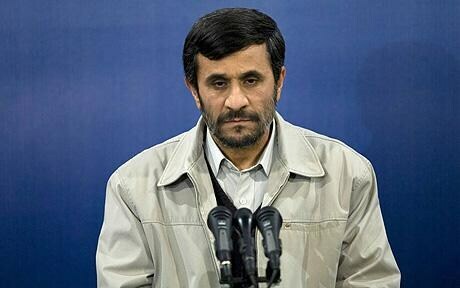 The mercurial President Ahmadinejad of Iran makes dealing with the Persian nation difficult. He has said he wants to “wipe the Zionist State [Israel] off the map” and he funds anti-Israeli terror groups like Hamas and Hezbollah. After Barack Obama went on Al-Arabiya TV with his Muslim outreach, Iran didn’t respond positively as expected. DAVOS, Switzerland (CNN) — Tehran stood ready to work with U.S. President Barack Obama to establish better relations with Washington, Iranian Foreign Minister Manouchehr Mottaki told a CNN-hosted panel at the World Economic Forum. 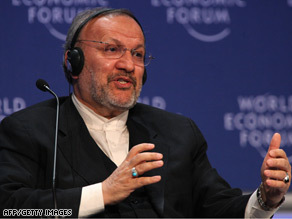 Iran’s Foreign Minister Manouchehr Mottaki talks Thursday at the World Economic Forum in Davos. You are currently browsing the archives for the Al-Arabiya category.